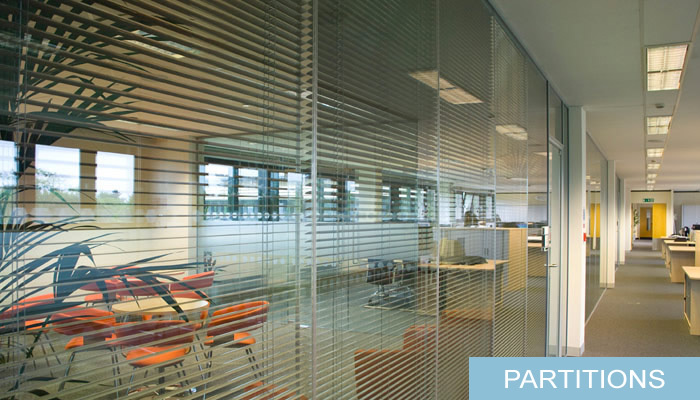 Clohessy Interiors glass partitions are designed to meet the most exacting quality standards. Attractive and superbly finished, we have glazed partitions tailored for any purpose. Clohessy Interiors use a high quality, high performance brand of metal stud partition system, making us first choice for performance, versatility and service in Ireland. Our suspended ceiling grid system makes Clohessy Interiors suited to handle both large and small building requirements for residential and commercial construction throughout Munster. Clohessy Interiors use all major suppliers of ceiling tiles including Owa, Rockfon, Armstrong & AMF. You can also buy Ceiling Tiles directly from us at out Limerick depot. Looking for a creative workplace environment, Clohessy Interiors team of construction experts boast an in-depth knowledge of the office fit out industry in Ireland. Clohessy Interiors & Ceilings have been installing suspended ceilings and office partitions in Limerick, Cork and throughout Munster for over 50 years. Our unrivalled experience makes us the obvious choice in Munster for all you interior requirements. In recent years we have diversified and can offer a full turnkey interior process from start to finish for a complete office fit out solution. You can rely on Clohessy Interiors professional service at every stage of your project. We have an exclusive partner network going back many years, providing the ultimate in knowledge and experience for guaranteed superior quality.